Daily life with a chronic illness like IBS is challenging. Each person’s day with IBS may look a little different, but there is a mutual understanding that all IBS sufferers have: daily symptoms and flares can be overwhelming. For the month of November, we want to talk about your daily life with IBS. Whether it’s talking about the daily choices you make or celebrating a good day, we want to hear about it. Send us your questions, share your story, or get feedback from each other in our forums below! 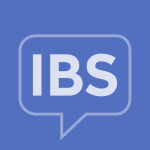 Want to have a discussion with others on how they manage the daily challenges of IBS? Join the conversation here. Have a story about a particularly hard day with your IBS? We want to hear about it! We have plenty of ways to get in touch with others and hear about their experiences with IBS. We’ll be discussing the daily challeneges of IBS all month, so join us on Facebook, Twitter, or friend members on our site!